Being a parent in Delaware and you do not have the custodial rights means that you have to contribute to child support in order to cover all expenses that relate to that child. Luckily, the state of Delaware has an online system that allows you to access your account, link with your bank account and make payments automatically for the support of your child. Step 3: Enter your user ID and Password then click OK. Step 2: Enter your email and click continue. Once you have correctly answered your security question, you will be able to reset your password. Step 1: Click the register New User button. Step 2: Select as shown and click continue. Step 3: Enter your details as required, read and agree to the terms, and then save to register. After all is said and done, you can manage your account. Once you have accessed your account, you can do a lot. You may either want to check when you are due to make payment or the status of our account. 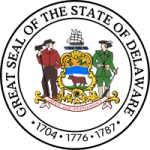 Whichever the case, you can know how much you are required to pay and on which date without having to visit the child support offices in Delaware.